See the light has FREE copywork for Shipwrecked. And a special on the DVD for the month of June.. 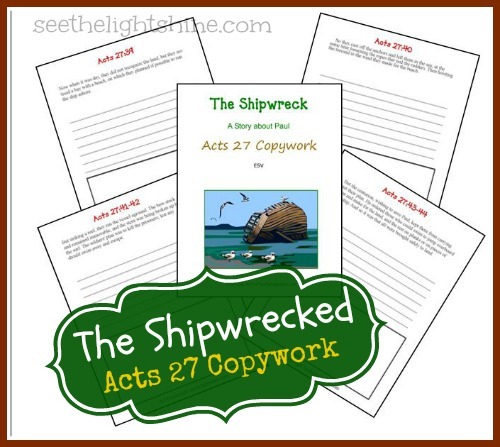 The Shipwrecked - Bible and Art Lesson is only $12.50 during the month of June! This retails at 14.99. Also, FREE- SHIPPING in US. Hurry! Offer good thru June 30, 2013.